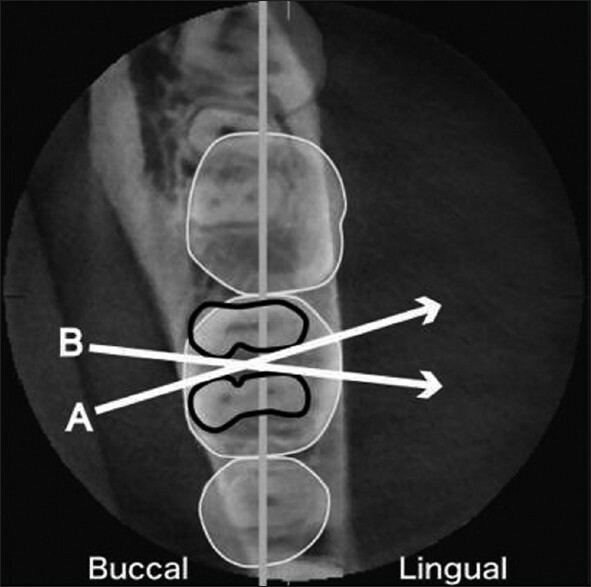 In the field of periodontology, assessment of the condition of teeth and surrounding alveolar bone depends largely on traditional two-dimensional imaging modalities such as conventional radiography and digital radiography. Though these modalities are very useful and have less radiation exposure, they still cannot determine a three-dimensional (3D) architecture of osseous defects. Hence, an imaging modality which would give an undistorted 3D vision of a tooth and surrounding structures is essential to improve the diagnostic potential. A well diagnosed periodontal lesion warrants an appropriate treatment. 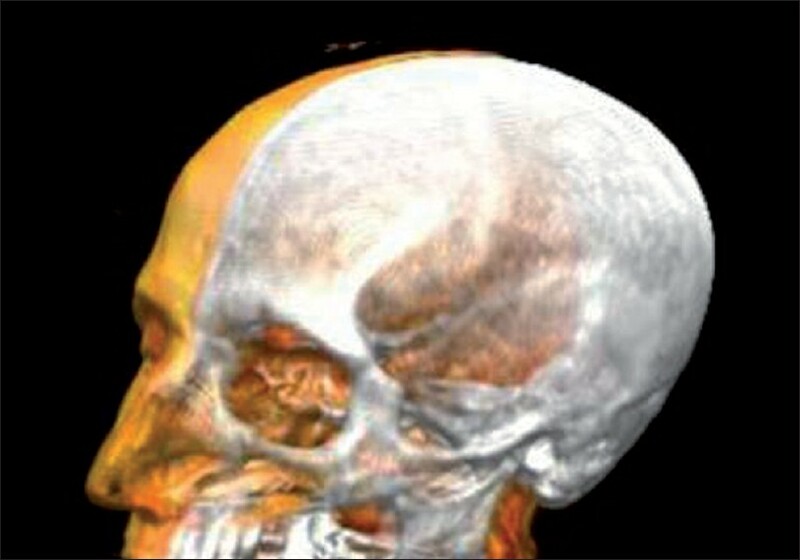 In the medical field, the 3D imaging using computed tomography (CT) has been available now for many years, but in the dental specialty, its application is restricted to the use in cases of maxillofacial trauma and diagnosis of head and neck diseases. Routine use of CT in dentistry is not accepted due to its cost, excessive radiation, and general practicality. In recent years, a new technology of cone-beam CT (CBCT) for acquiring 3D images of oral structures is now available to the dental clinics and hospitals. It is cheaper than CT, less bulky and generates low dosages of X-radiations. 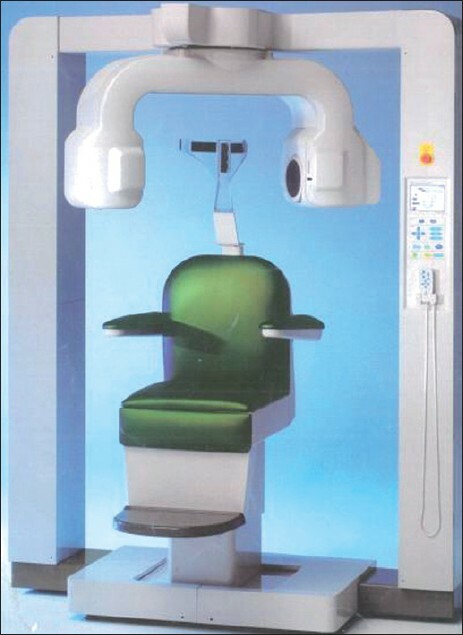 The innovative CBCT machines [Figure 1] designed for head and neck imaging are comparable in size with an orthopantomograph. CBCT provides rapid volumetric image acquisition taken at different points in time that are similar in geometry and contrast, making it possible to evaluate differences occurring in the fourth dimension time. In its various dental applications, images of jaws and teeth can be visualized accurately with excellent resolution, can be restructured three dimensionally, and can be viewed from any angle [Figure 2]. Most significantly, patient radiation dose is five times lower than normal CT.
Today, CBCT scanning has become a valuable imaging modality in periodontology as well as implantology. For the detection of smallest osseous defects, CBCT can display the image in all its three dimensions by removing the disturbing anatomical structures and making it possible to evaluate each root and surrounding bone. In implant treatment, appropriate site or size can be chosen before placement, and osseointegration can be studied over a period of time. This review discusses all the finer details of CBCT which has added a third dimension to the imaging in periodontics. The first CT scanner was developed in 1967 by Sir Godfrey N. Hounsfield, an engineer at EMI. Since then, CT technology rapidly underwent five developmental generations. The first generation of CT scanners [Figure 3] used a single detector element to capture a beam of X-rays, corresponding to the integral of linear attenuation coefficients along a single line. It then translated horizontally to acquire the next line integral. After acquiring all the line integrals for a given position of the X-ray source, both the detector and source rotated one degree, a design known as the "translate-rotate" or "pencil-beam" scanner. Hounsfield's unit belonged to this generation, as did the first commercial CT scanners introduced in 1972. Interestingly, these first-generation CT scanners were designed to scan the head only. A second generation of CT systems [Figure 4] was introduced in 1975. These systems, also known as "hybrid" machines, used more than one detector and used small fan-beam, as opposed to pencil-beam, scanning. Like the first generation of CT scanners, these scanners also used a translate-rotate design, and were for the most part head-only scanners. Although the first iterations of full-body CT scanners also incorporated the translate-rotate design, image quality was poor due to patient motion artifacts caused by the significant amount of time required to take the scan. The third-generation CT scanners [Figure 5] appeared in 1976 and are the systems most widely used today. These scanners use a large, arc-shaped detector that acquires an entire projection without the need for translation. This rotate-only design, frequently referred to as "fan-beam," utilizes the power of the X-ray tube much more efficiently than the previous generations. 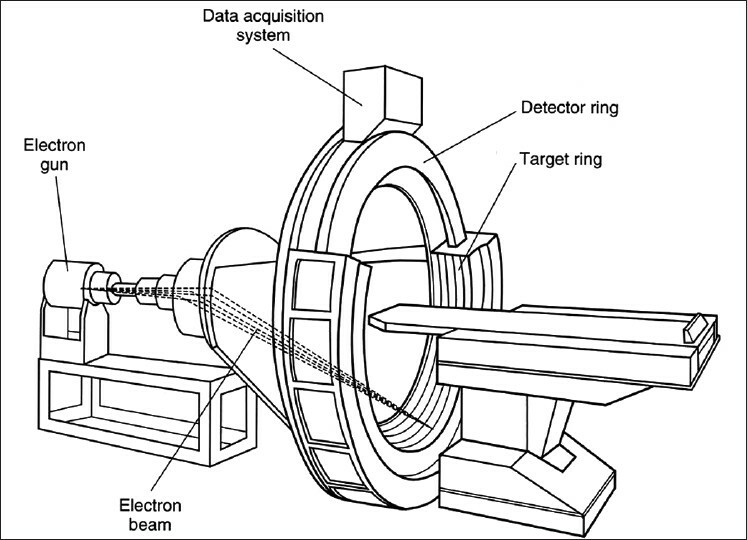 The fourth-generation scanners [Figure 6] shortly followed third-generation scanners, replacing the arc-shaped detector with an entire circle of detectors. In this design, the X-ray tube rotates around the patient, while the detector stays stationary. Since these fourth-generation scanners tend to be more expensive and suffer from higher levels of Compton scatter artifacts, most of the commercially available CT scanners today are third-generation scanners. After an initial period of rapid development, CT technology quickly matured and it was not until the early 1990s that CT research began anew. Recent advances in CT include multirow detectors and spiral scanning. Multirow scanning allows for the acquisition of several cross-sectional slices at the same time, reducing scanning times. Today's state-of-the-art scanners have 64 rows of detectors. Spiral (helical) scanning incorporates a moving table with the rotating X-ray tube, with the net effect that the X-ray tube describes a helical path around the patient. Conventional CT scanners are large and expensive systems designed for full-body scanning at a high speed to minimize artifacts caused by movement of the heart, lungs, and bowels. They are not well-suited for dedicated dentomaxillofacial imaging, where cost considerations are important, space is often at a premium, and scanning requirements are limited to the head. The advent of CBCT technology has paved the way for the development of relatively small and inexpensive CT scanners dedicated for use in dentomaxillofacial imaging. CBCT scanners utilize a two-dimensional detector, which allows for a single rotation of the gantry to generate a scan of the entire region of interest, as compared with conventional CT scanners whose multiple "slices" must be stacked to obtain a complete image. 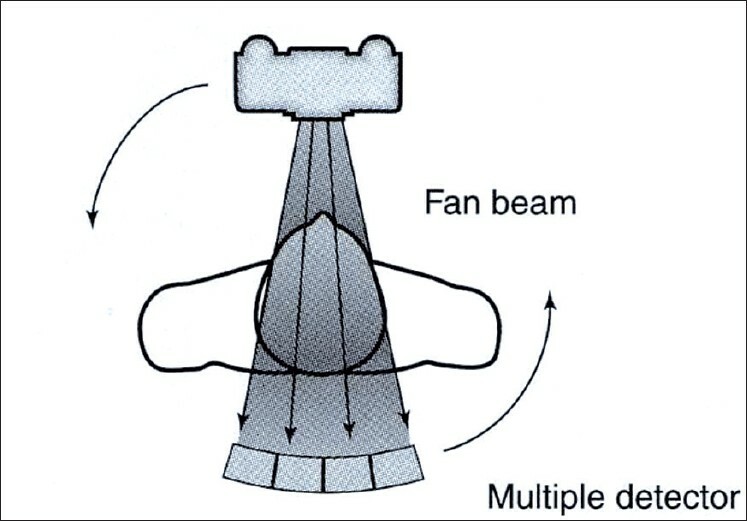 In comparison with conventional fan-beam or spiral-scan geometries, cone-beam geometry has higher efficiency in X-ray use, inherent quickness in volumetric data acquisition, and potential for reducing the cost of CT. 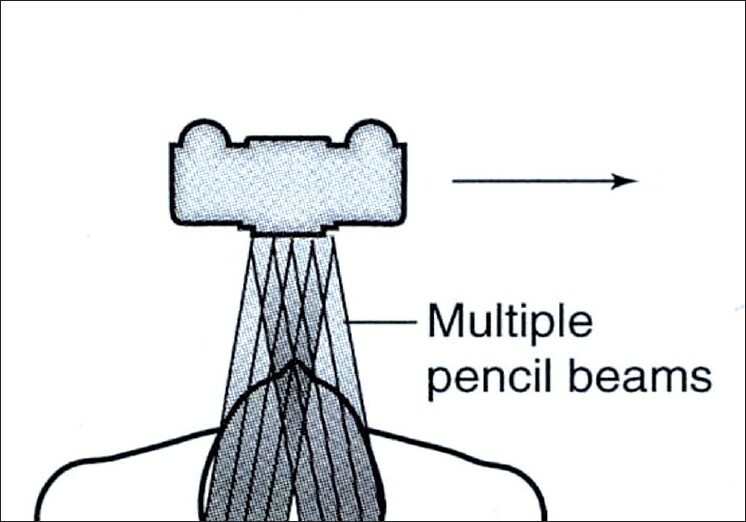 The cone beam technique requires only a single scan to capture the entire object known as field of view which refers to the area of the anatomy that is captured with a cone of X-rays [Figure 8]. 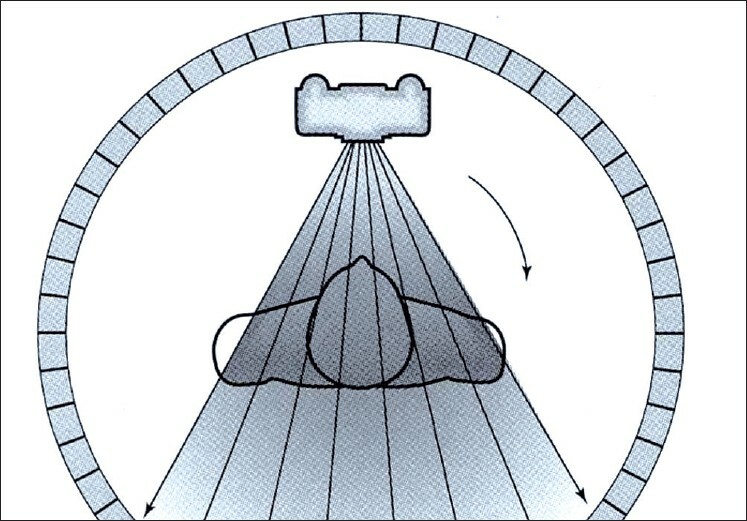 Thus, the time required to acquire a single cone-beam projection is the same as that required by a single fan-beam projection. Although CBCT has existed for over two decades, its true potential has not yet been fully tapped. Only recently, it has become possible to develop CBCT clinical systems that are both inexpensive and small enough to be used in operation theaters, medical and dental offices, emergency rooms, and intensive care. Four technological and application-specific factors have converged to make this possible. First, compact and high-quality flat-panel detector arrays were developed. Second, the computer power necessary for cone-beam image reconstruction has become widely available and is relatively inexpensive. 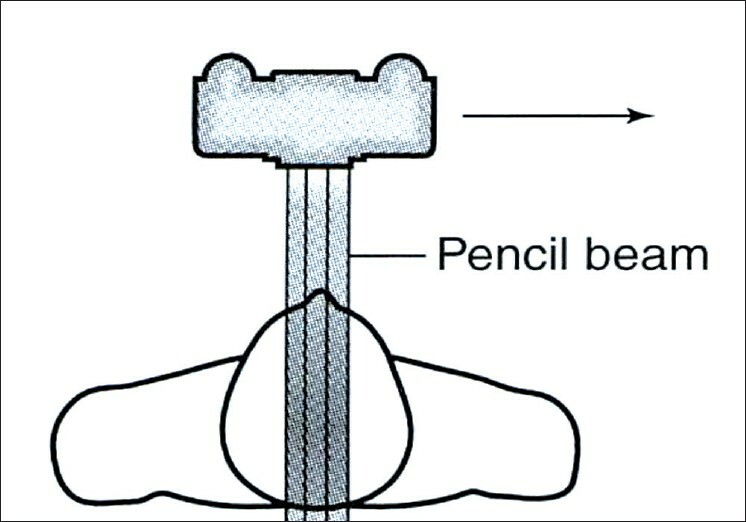 Third, x-ray tubes necessary for cone-beam scanning are orders-of-magnitude that are less expensive than those required for conventional CT.
Fourth, by focusing on head/neck scanning only, one can eliminate the need for sub-second gantry rotation speeds that are needed for cardiac and thoracic imaging. This significantly reduces the complexity and cost of the gantry. Continuous or pulsed x-ray beam and charged couple device detectors moving synchronously around the fixed fulcrum within the patient's head. It is determined by individual volume elements or voxels produced from the volumetric data set. CBCT units provide voxel resolutions that are isotropic (equal in all 3 dimensions). The processing of acquired projection frames to the volumetric dataset is done on the personal computer which is called as reconstruction. The compilation of all available voxels is presented to the clinician on the computer screen as secondary reconstructed images in three orthogonal planes. It has a rapid scan time as compared with panoramic radiography. It gives complete 3D reconstruction and display from any angle. Its beam collimation enables limitation of X-radiation to the area of interest. Image accuracy produces images with submillimeter isotropic voxel resolution ranging from 0.4 mm to as low as 0.076 mm. Reduced patient radiation dose (29-477 μSv) as compared with conventional CT (approx. 2000 μSv). Patient radiation dose is five times lower than normal CT, as the exposure time is approximately 18 seconds, that is, one-seventh the amount compared with the conventional medical CT.
CBCT units reconstruct the projection data to provide interrelational images in three orthogonal planes (axial, sagittal, and coronal). Multiplanar reformation is possible by sectioning volumetric datasets nonorthogonally. Multiplanar image can be "thickened" by increasing the number of adjacent voxels included in the display, referred to as ray sum. 3D volume rendering is possible by direct or indirect technique. The three positioning beams make patient positioning easy. Scout images enable even more accurate positioning. Reduced image artifacts: CBCT projection geometry, together with fast acquisition time, results in a low level of metal artifact in primary and secondary reconstructions. The only disadvantage is its cost. But considering the enormous benefits, this cost effect can be overlooked. 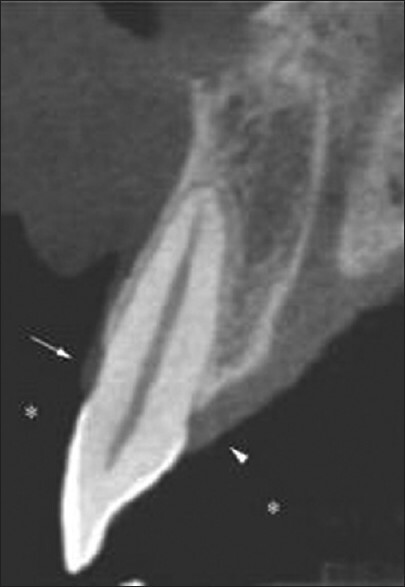 The earliest signs of periodontal disease in radiographs are fuzziness, break in the continuity of lamina dura, and a wedge-shaped radiolucent area at the mesial and distal aspect of the PDL space. In addition to this, the proper observation of PDL space may offer some potential regarding detection of occlusal trauma and the effects of systemic diseases on the periodontium. CEJ and facial bone crest. The width of the facial and palatal/lingual alveolar bone and the width of the facial and palatal/lingual gingival also could be measured  [Figure 12] and [Figure 13]. ST-CBCT will certainly aid clinicians in the planning and execution of a number of procedures in dentistry with increased predictability. Clinicians have been diagnosing, treatment planning, placing, and restoring modern dental implants using periapical and panoramic imaging films to assess bone anatomy for several decades. 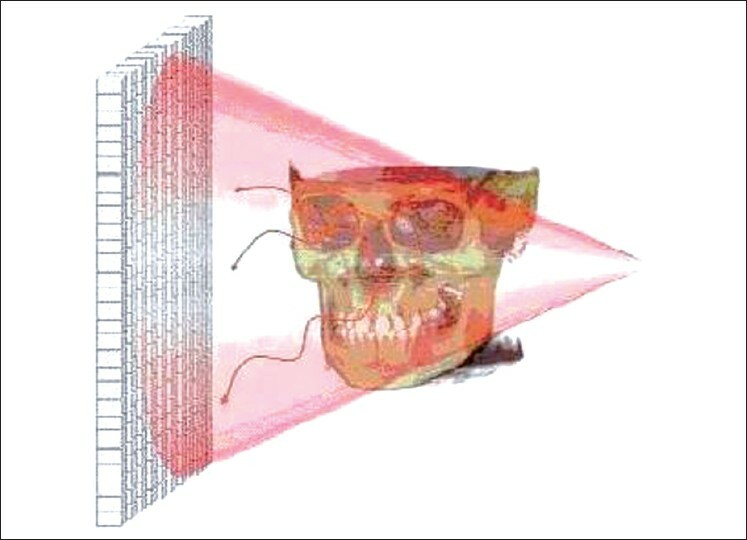 Two-dimensional film images have been found to have limitations because of inherent distortion factors, and the noninteractive nature of film itself provides little information regarding bone density, bone width, or spatial proximity of vital structures. Diagnostic imaging techniques must always be interpreted in conjunction with good clinical examination. Many factors influence the selection of radiographic techniques for a particular case, including cost, availability, radiation exposure, and case type. The decision is a balance between these factors and the desire to minimize risk of complications to the patient. Cross-sectional imaging modalities that include conventional x-ray tomography, computer tomography, and CBCT are valuable imaging modalities. Of all the three, CBCT scanning is the most successful, useful, and valuable imaging modality for 3D and cross-sectional evaluation of the implant patient [Figure 14]. It has similar advantages and disadvantages as CT scanning. The most significant difference is that CBCT imaging requires much less radiation exposure. Location is the most important factor while placing an implant. From 3D planning to CT-directed placement, to take the advantage of available bone and avoid anatomic structures, the science of implantology has been revolutionized by 3D imaging. Not only has it added safety and accuracy, it has also minimized or eliminated the need for supportive procedures like bone and tissue grafting in many situations. Software and technology development trends suggest that in the near future, CBCT scans will be used to develop a patient-specific 3D model that will be used for implant diagnosis, treatment planning, treatment simulation, implant placement (surgery), and tooth replacement (restoration of implant). Current CBCT technology has limitations related to the "cone-beam" projection geometry, detector sensitivity, and contrast resolution that produces images that lack the clarity and usefulness of conventional CT images. The clarity of CBCT images is affected by artifacts, noise, and poor soft tissue contrast. As with any emerging imaging technology, use of CBCT scanners has been the subject of criticism as well as acclaim. The technology itself is limited by lack of user experience and what is currently a relatively small body of related literature. Research on this technology is still preliminary, without prospective studies that convincingly demonstrate its benefit compared with conventional CT.
Office-based CBCT imaging is usually performed and interpreted by non-radiologists, often without the accreditation, training, or licensure afforded by the radiology community. So, to address this issue, emphasizing the role of the practitioner in obtaining and interpreting CBCT images is necessary. As CBCT scanning is finding more and more applications in dentomaxillofacial radiology, it stands as the privileged field of imaging in periodontics. Current methods of detecting alveolar bone level changes over time or determining 3D architecture of osseous defects are inadequate. This issue has been addressed by the recent low-cost CBCT machines, which has resulted in production of an affordable, low-radiation high-quality 3-D data. CBCT is an essential diagnostic tool also for selection of implant design and its placement. CBCT provides high quality of diagnostic images that have an absorbed dose that is comparable with other dental surveys and less than a conventional CT and thus following the principles of radiation protection to reduce the radiations "as low as reasonably achievable" (ALARA). To conclude, CBCT with its high spatial resolution, affordability, smaller size, lower acquisition and maintenance have made it as a natural fit in periodontal imaging. 1. Robb RA. The dynamic spatial reconstructor: An x-ray video fluoroscopic ct scanner for dynamic volume imaging of moving organs. IEEE Trans Med Imaging 1982;1:22-33. 2. Fahrig R, Fox AJ, Lownie S, Holdsworth DW. Use of a C-arm system to generate true three-dimensional computed rotational angiograms: Preliminary in vitro and in vivo results. Am J Neuroradiol 1997;18:1507-14. 3. Fahrig R, Nikolov H, Fox AJ, Holdsworth DW. A three-dimensional cerebrovascular flow phantom. Med. Phys. 26 8 (1999), pp. 1589-1599. 4. Wiesent K, Barth K, Navab N, Durlak P, Brunner T, Schuetz O, et al. Enhanced 3D reconstruction algorithm for c-arm systems suitable for interventional procedures. IEEE Trans Med Imaging 2000;19:391-403. 5. Saint-Félix D, Trousset Y, Picard C, Ponchut C, Roméas R, Rougée A. In vivo evaluation of a new system for 3D computerized angiography. Phys Med Biol 1994;39:583-95. 6. Ning R, Chen B, Yu R, Conover D, Tang X, Ning Y. Flat panel detector-based cone beam volume CT angiography imaging: System evaluation. IEEE Trans Med Imaging 2000;19:949-63. 7. Schueler BA, Sen A, Hsiung HH, Latchaw RE, Hu X. Three-dimensional vascular reconstruction with a clinical X-ray angiography system. Acad Radiol 1997;4:693-9. 8. Kawata Y, Niki N, Kumazaki T. Measurement of blood vessel characteristics for disease detection based on cone beam CT images. IEEE Trans Nuc Sci 1996;43:3348-54. 9. Jaffray DA, Siewerdsen JH. Cone-beam computed tomography with a flat-panel imager: Initial performance characterization. Med Phys 2000;27:1311-23. 10. Cho PS, Johnson RH, Griffin TW. Cone-beam CT for radiotherapy applications. Phys Med Biol 1995;40:1863-83. 11. Ning R, Chen B. Cone beam volume CT mammographic imaging: Feasibility study. In Presented at Proceedings of SPIE - The International Society for Optical Engineering. 2001. 12. Mol A. 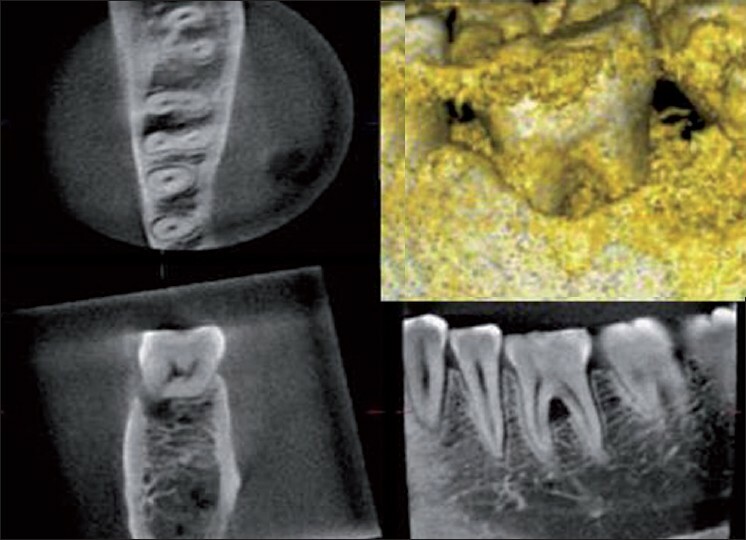 Imaging methods in periodontology. Periodontol 2000 2004;34:34-48. 13. Tynd all DAnone , Rathore S. Conone ne-beam CT diagnostic applications: Caries, periodontal bone assessment, and endodontic applications. 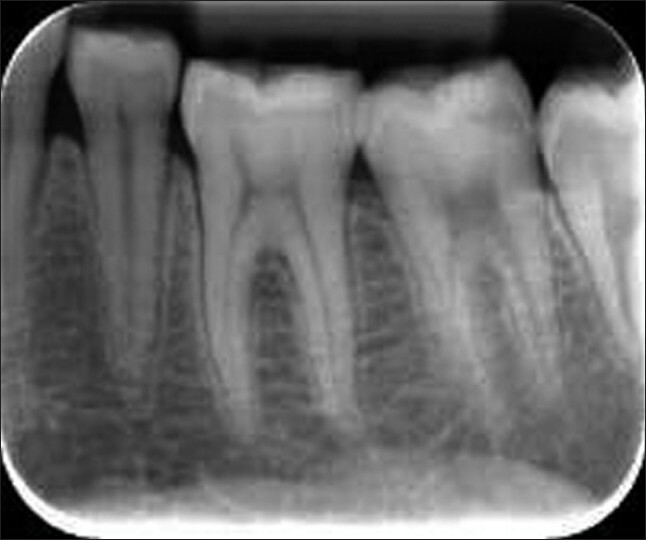 Dent Clin North Amnone 2008;52:825-41. 14. Ito K, Yoshinuma N, Goke E, Arai Y, Shinoda K. Clinical application of a new compact computed tomography system for evaluating the outcome of regenerative therapy: A case report. J Periodontol 2001;72:696-702. 15. Newman MG, Takei H, Carranza FA Jr, Klokkevold PR. Diagnostic imaging for the implant patient. Carranza's Clinical Periodontology. 10th ed. New Delhi, India: Elsevier publication; 2007. p. 1105-18. 16. Ozmeric N, Kostioutchenko I, Hägler G, Frentzen M, Jervøe-Storm PM. Cone-beam computed tomography in assessment of periodontal ligament space: In vitro study on artificial tooth model. Clin Oral Investig 2008;12:233-9. 17. Mengel R, Candir M, Shiratori K, Flores-de-Jacoby L. Digital volume tomography in the diagnosis of periodontal defects: An in vitro study on native pig and human mandibles. J Periodontol 2005;76:665-73. 18. Misch KA, Yi ES, Sarment DP. Accuracy of cone beam computed tomography for periodontal defect measurements. J Periodontol 2006;77:1261-6. 19. Vandenberghe B, Jacobs R, Yang J. Diagnostic validity (or acuity) of 2D CCD versus 3D CBCT-images for assessing periodontal breakdown. Oral Surg Oral Med Oral Pathol Oral Radiol Endod 2007;104:395-401. 20. Mol A, Balasundaram A. In vitro cone beam computed tomography imaging of periodontal bone. Dentomaxillofac Radiol 2008;37:319-24. 21. Vandenberghe B, Jacobs R, Yang J. Detection of periodontal bone loss using digital intraoral and cone beam computed tomography images: An in vitro assessment of bony and/or infrabony defects. Dentomaxillofac Radiol 2008;37:252-60. 22. Hishikawa T, Izumi M, Naitoh M, Furukawa M, Yoshinari N, Kawase H, et al. The effect of horizontal X-ray beam angulation on the detection of furcation defects of mandibular first molars in intraoral radiography. 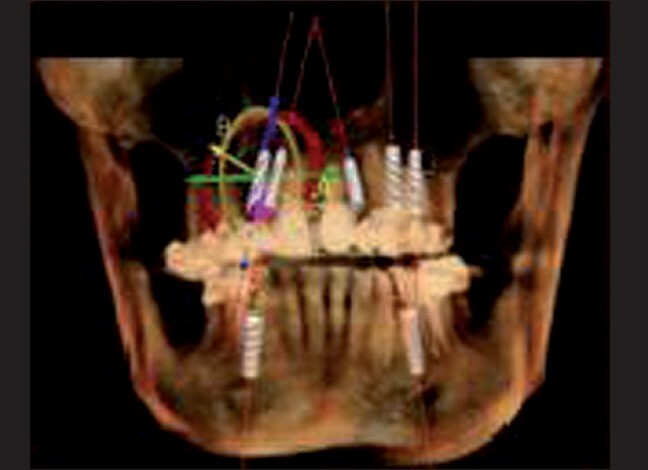 Dentomaxillofac Radiol 2010;39:85-90. 23. Januário AL, Barriviera M, Duarte WR. Soft tissue cone-beam computed tomography: A novel method for the measurement of gingival tissue and the dimensions of the dentogingival unit. J Esthet Restor Dent 2008;20:366-73. 24. Fu JH, Yeh CY, Chan HL, Tatarakis N, Leong DJ, Wang HL. Tissue biotype and its relation to the underlying bone morphology. J Periodontol 2010;81:569-74.